A graduate of Johns Hopkins University, Dr. Krug received his medical degree from Columbia University College of Physicians and Surgeons where he was elected into the Alpha Omega Alpha Honor Society. After completing medical internships at New York Hospital-Cornell Medical Center and Memorial Sloane-Kettering Cancer Center, he served a three-year ophthalmology residency at Wills Eye Hospital in Philadelphia. He was also a clinical fellow in glaucoma at the Massachusetts Eye and Ear Infirmary of Harvard Medical School. Dr. Krug is the current chairman of the ophthalmology department at Novant Health Presbyterian Medical Center. Upon completion of his fellowship in glaucoma at Harvard, Dr. Krug remained on the faculty as Assistant Director of Glaucoma Consultation Service. He has since lectured on numerous topics at health centers throughout the country, as well as international glaucoma meetings. He has been involved in clinical research of new medical and surgical therapies for glaucoma and cataracts. He has served as a consulting ophthalmologist for an international pharmaceutical corporation, as well as the Charlotte Community Health Center providing free eye care to patients in need. He has published over two dozen reports, reviews, abstracts and book chapters. 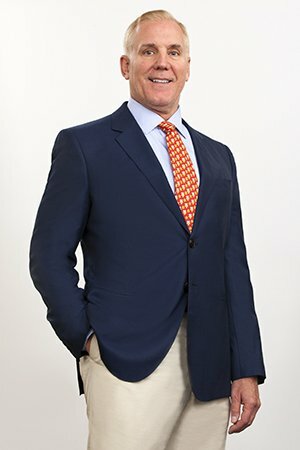 During his career he has also served as team ophthalmologist for the Charlotte Panthers, Charlotte Hornets, and the Charlotte Checkers and has been recognized numerous times as one of the ‘Charlotte's Top Docs’. Dr. Krug and his wife Julie have one son, Christopher, and one golden retriever, Yankee.